Transforming Leadership’s leader and professional development assessments help individuals lead, manage and communicate more effectively. Our one-day workshop guarantees participants will become better leaders and managers through applying four leadership and management models. Emotional Quotient talent assessments specialize in emotional intelligence, entrepreneurship, risk tolerance, and social skills. Provides multiple assessments to strengthen manager-employee relationships and overall team performance. Envisia’s assessments blend expertise in psychology, technology and coaching, helping leaders develop their capabilities to align with their organization’s needs. The DiSC profile is a tool used to outline people’s behavioral differences, natural leadership style and areas for continual improvement. TTI Success Insights provides a suite of personal assessments designed to reveal and harness the unique talent each person possesses. The Forté is a highly accurate communication style report that increases self-awareness, outlines how you adapt to your surroundings and displays how you will “most likely” interact with specific people. 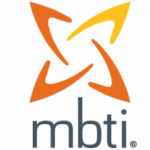 One of the most recognized and appreciated assessments world-wide, The Myers-Briggs Type Indicator® (MBTI®) has helped millions of people gain insights about themselves and how they interact with others. A Transforming Leadership coaching session designed to help individuals identify, define and live out their personal core values. Transforming Leadership’s business development assessments help teams and departments achieve strategic and operational goals. Transforming Leadership’s Smart Business Assessment analyzes how specific leadership and management principles can help executives and organizational departments achieve tactical and strategic outcomes. Organizational DNA determines the basic health of an organization and is reflected in its core values. Transforming Leadership’s DNA Profile helps our clients define, refine and/or create staff alignment around their organizational core values. Transforming Leadership’s on-boarding solutions are designed to help our clients make more informed decisions throughout the hiring process. Helps fill the gap between the resume and the interview to help them clients interview better and hire smarter. PI allows you to understand what drives workplace behaviors so that you can ensure alignment, drive your team’s success, and achieve your business objectives faster. The ability to work effectively with other people is the key to every leader and manager's success. This critical success factor is often overlooked however, taking a back-seat to common managerial training on topics such as financial management, policies/procedures, or tactical elements of specific jobs. Transforming Leadership's Intentional Leader-Manager Workshop is a one day event designed to help leaders scale high performance throughout their team and overall organization through implementing four leadership and management models. The EQ-i 2.0, and the complimentary EQ 360, are industry leaders as Emotional Intelligence assessments. The reports are Workplace oriented, providing individuals and businesses with the insight to address challenge areas, and capitalize on existing strengths. It focuses on the impact of emotional intelligence at work and offers suggestions for working with colleagues, supervisors, and clients. In recruiting, this report is useful when using scores to guide the selection of follow-up interview questions, and in identifying potential training and development needs. The Leadership Report examines EQ-i 2.0 results through four key dimensions of leadership: authenticity, coaching, insight, and innovation. The leadership report also contains insights on the leadership and organizational implications of your clients’ results, as well as strategies for development aimed to help your client reach his or her true leadership potential. The Workplace EQ 360 Report includes not only the feedback of all the raters, but also the feedback of the participant — all in one consolidated report in both and client and coach's version. This saves the participant time and effort in working through multiple reports, and it allows for better comparison and understanding of the feedback received. Reports are structured in a very clear and linear manner that is easy to follow and reference​. The Leadership EQ 360 offers the a comprehensive view of an individual’s EI results through four key dimensions of leadership. Coaching advice tailored to each employee. Envisia Learning began offering leadership development assessments 30 years ago and was one of the first organizations to put the 360-degree feedback process online. Envisia's assessments blend expertise in psychology, technology and coaching, helping leaders develop their capabilities to align with their organization's needs. Each assessment takes between 10 and 20 minutes to complete and provide valuable "stakeholder feedback" to help identify leadership gaps and areas for positive growth. ​Manager View 360 is a comprehensive 360-degree feedback assessment for frontline managers and supervisors. It has been evaluated and found sound by the Center for Creative Leadership. The DiSC model is perfect for individual learning, development planning, and makes for a creative and fun team building tool. TTI Success Insights provides a suite of personal assessments designed to reveal and harness the unique talent and skills that each person possesses, utilizing a process called the SCIENCE OF SELF®. For over 30 years, TTI has researched and applied social and brain science, creating behavioral assessments used to develop and retain an organization's greatest asset - its people. FORTÉ® online communication style reports are used in over 6,000 corporate organizations throughout the globe. FORTÉ® tools help organizations develop people to improve their communication skills, to improve individual & team performance, to minimize conflict and to build resiliency. Unique to the Forté process is the ability to complete Forté Adapting Updates as often as every 30 days to any individual, or any environment with an updated Communication Styles Strategy to use for the next 30 days. Individual Forté profile information is combined to develop Forté composite team profiles for use by teams and other organizations seeking the enhancement of interpersonal and team productivity. As with the individual, the team composite profiles are updated every 30 days for measurement and growth through the Forté Performance Coaching System. Forté provides 38 Master Communication Style Patterns measuring "who" the individual is, how they are currently adapting and how they're most likely coming across to others. As a certified Forté Suite partner, contact Transforming Leadership today to complete your own Forté Communications Style Report. It takes less than 8 minutes and results are generated immediately. It provides a powerful framework for building better relationships, driving positive change, and having a greater sense of personal awareness. Quiet, serious, earn success by thoroughness and dependability. Quiet, friendly, responsible, and conscientious. Seek meaning and connection in ideas, relationships, and material possessions. Have original minds and great drive for implementing their ideas and achieving their goals. Tolerant and flexible, quiet observers until a problem appears, then act quickly to find workable solutions. Quiet, friendly, sensitive, and kind. Idealistic, loyal to their values and to people who are important to them. Seek to develop logical explanations for everything that interests them. Flexible and tolerant, they take a pragmatic approach focused on immediate results. Quick, ingenious, stimulating, alert, and outspoken. Frank, decisive, assume leadership readily. In High Performance organizations it is important that the Core Values of the team members align with the Core Values of the organization. To help the individual more clearly define their personal Core Values, Transforming Leadership has developed an invaluable development tool with the My-DNA Workspace. The My-DNA Program is an online, Coach Assisted Workspace that guides the user through the process of identifying their personal Core Values and ultimately generating their own Core Values Statement. Transforming Leadership helps our clients create tactical roadmaps in support of operational and strategic plans. The functional health of an organization is measured by the Core Values by which it operates. Transforming Leadership believes that the Core Values of an organization are the “foundational” DNA of that organization. Your Core Values are WHO YOU ARE. Our Organizational DNA Profile and Report® will reveal to organizational leaders if a gap exists between who they are, their Demonstrated Core Values, and who they want to be, their Core Values Statement. As a Gap develops, trust erodes. Transforming Leadership can provide you with the tools to close the Gap, build trust, decrease turnover, and dramatically improve effectiveness and engagement. Are there leadership challenges in a specific department/location? Are there policies/procedures in place to drive Core Values? Where do leadership gaps exist? Where is there conflict between “who we say we are” and “who we really are? Steps you can take to align your values. Hidden core value strengths of your organization that you may be unaware of. Reasons why your employees may not be performing at their optimal potential. Conflicting messages that your employees may be receiving without your knowledge. PXT Select makes decisions about hiring simpler and smarter. Developed by Wiley, a global publishing and research giant, PXT Select offers numerous assessments and reporting tools specifically designed for on-boarding. As a PXT Select Authorized Partner, Transforming Leadership will work with you to identify which on-boarding report meets your specific needs to help your organization hire talent that possess the attributes needed to perform at a high-level. PXT Select offers a library of performance models with 22 main categories of positions to ensure you select the most relevant performance model comparison to the position you need to fill. The PI Behavioral Assessment™ allows you to compare your candidates against behavioral and cognitive job requirements you define per position. Once defined, send candidates their targeted assessment, and as results come in, reviewing candidate alignment with your specific requirements is quick and easy. Over 18 million candidates have been assessed utilizing the Predictive Index. The PI is scientifically validated to predict behavior in any job, in any industry and is built to the standards of the American Psychological Association (APA), Society for Industrial and Organizational Psychologists (SIOP), and the International Test Commission (ITC). 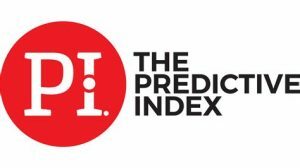 Contact Transforming Leadership today, your Certified PI Partner, to learn how the Predictive Index Assessment can bolster your hiring procedures.